Retailers are failing to engage consumers with in-store technology, with only a tenth of British shoppers having ever experienced tablet devices while out shopping. Research by retail technology company Omnico Group found that only 10% of UK shoppers have ever seen or used tablets in-store for retail services. 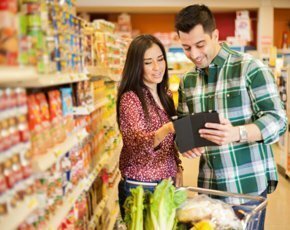 Additionally, half of the 2,007 UK adults surveyed said they would like to see sales assistants equipped with tablets so they can check inventory levels, while 53% would like the ability to check inventory in nearby stores. Meanwhile, 24% of customers surveyed also want easy payment options available on in-store tablet devices. Omnico noted that this data contrasts with the Ofcom statistics that the average UK household owns more than three internet-enabled devices, with 20% of all adults owning a tablet device. “Retail customers are not asking for the Earth, but rather for a fuss-free service that saves time, increases convenience and improves their overall experience,” said Steve Thomas, chief technology officer at Omnico Group. "If customers can browse, check stock and pay on a mobile device from the comfort of their homes, then they should be able to do the same in-store," he added. Britain’s high streets are in crisis, with customers preferring to use online outlets to research and buy their items at the cheapest possible price. But some bricks and mortar stores have been trying to tempt consumers back into stores by using clever technologies as part of their omni-channel strategies. Some retailers have been implementing free Wi-Fi in-store, while John Lewis and Marks & Spencer have each experimented with information kiosks. But according to this latest research, retailers must do more to entice customers via digital. “With many bricks-and-mortar formats continuing to struggle with footfall, retailers must offer an efficient, flexible service that fuses the best of traditional retail with a 21st century omni-channel strategy,” said Thomas. What is the right goal for digital inclusion?